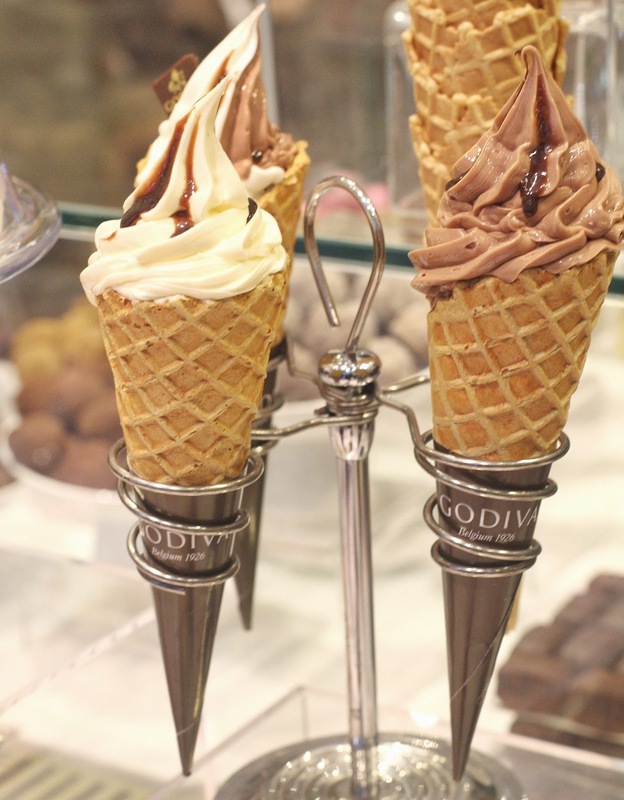 If you're going to do ice cream, you may as well do it the right way - with luxury and impeccable taste. 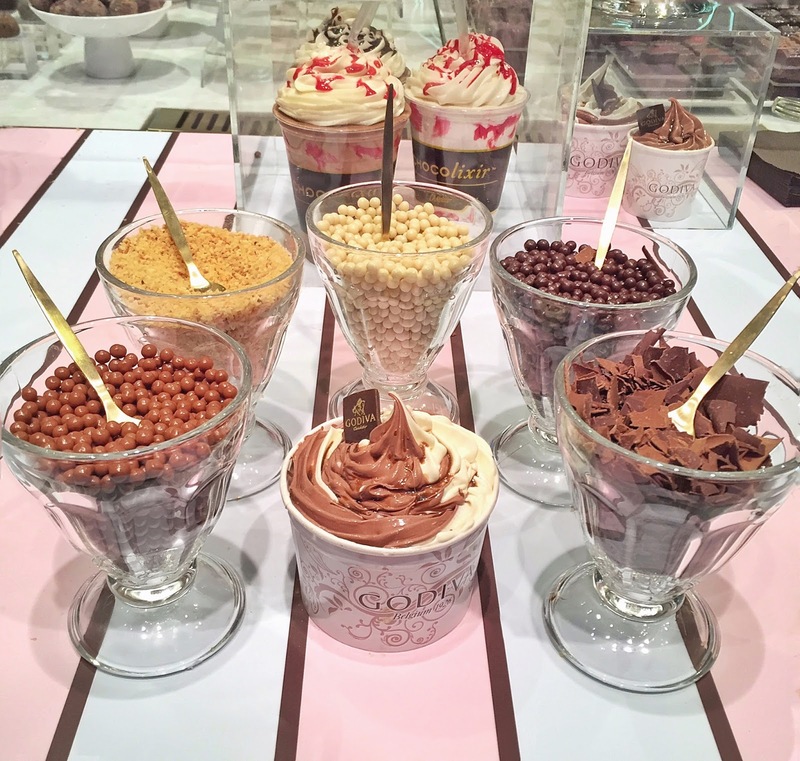 Last night I attended the Godiva ice cream parlour event which was genuinely like walking into a scene from charlie and the chocolate factory... so basically I got to live my childhood dream! 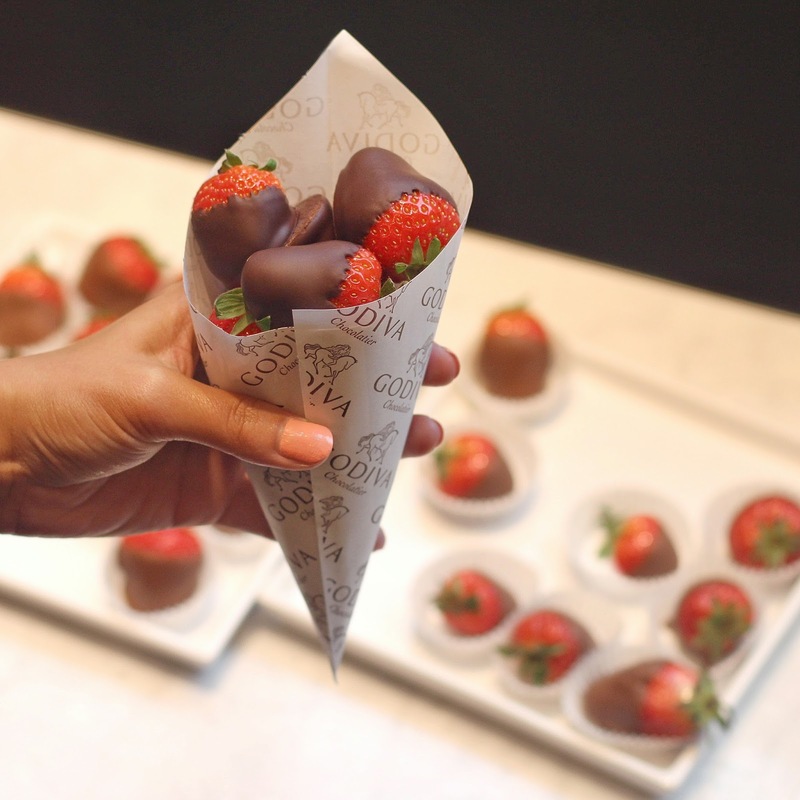 I mean, you can't really ask for more than a store where almost everything is edible. 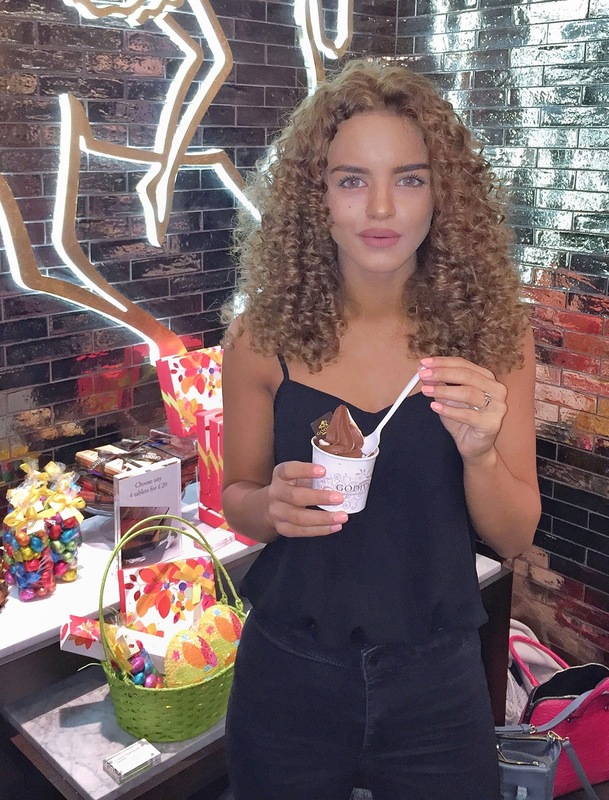 The highlight of the event which everyone wanted a go of was the toppings bar where you could create your own bespoke luxury ice cream (yes you may have seen my snapchats of Craig and I hogging that area). 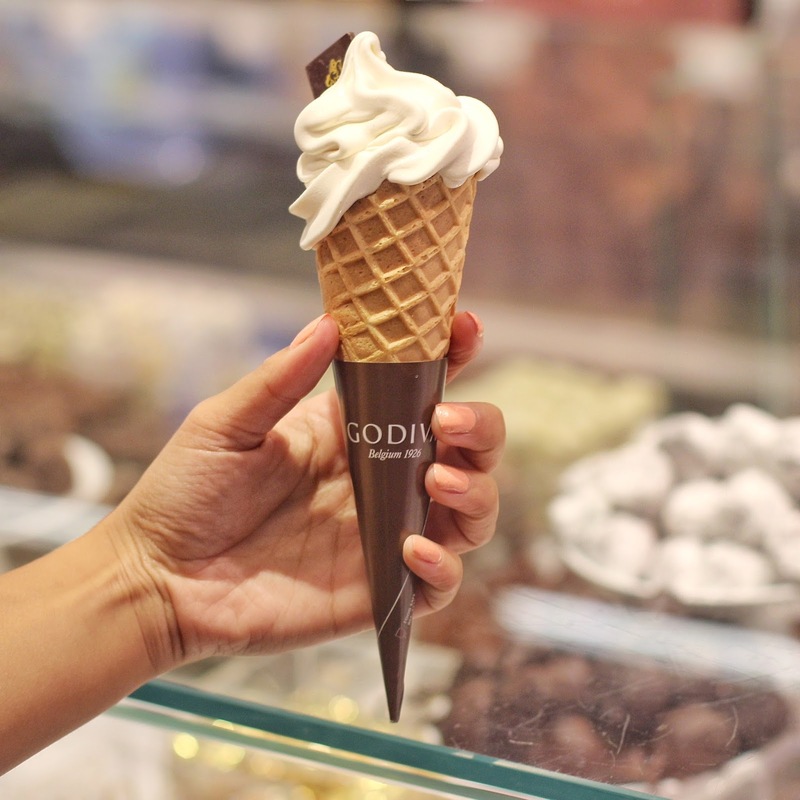 It started with choosing a base from a delicious waffle cone, dipped chocolate waffle cone or a small/large cup! You all know that I have a major sweet tooth so I thought I'd have a taste of everything haha and obviously opted for BOTH vanilla and intense dark chocolate. This was followed by adding the dreamy toppings they had out on dispaly - milk, dark or white crispy pearls, chocolate flakes, bresilienne and chocolate syrup! 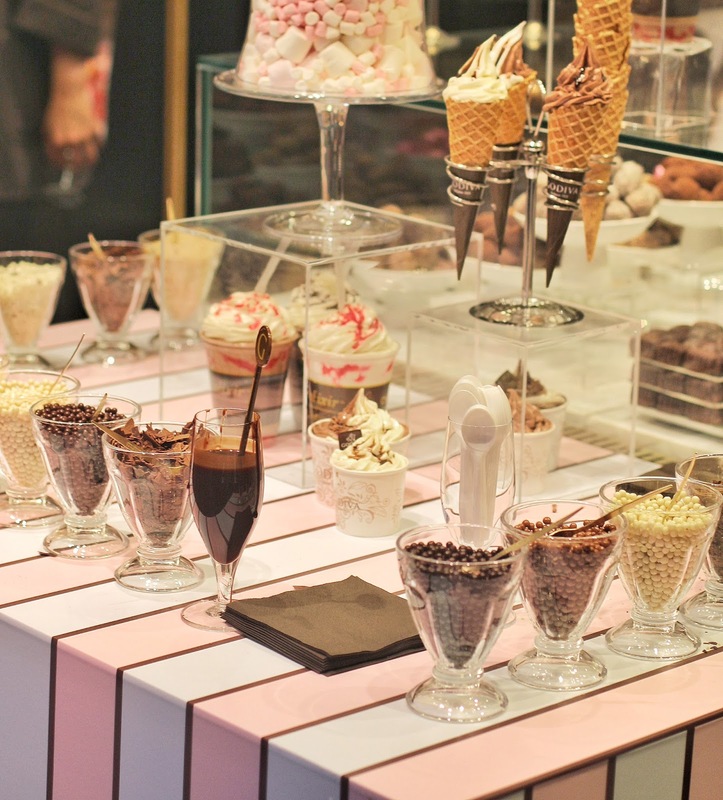 I think the great thing about this is the DIY aspect... you could totally host your own Godiva ice cream parlour at home putting out a selection of these toppings (available here)! After taking some toppings away myself and making my friends jealous with all the snaps I'm going to have my own little get together this weekend :). 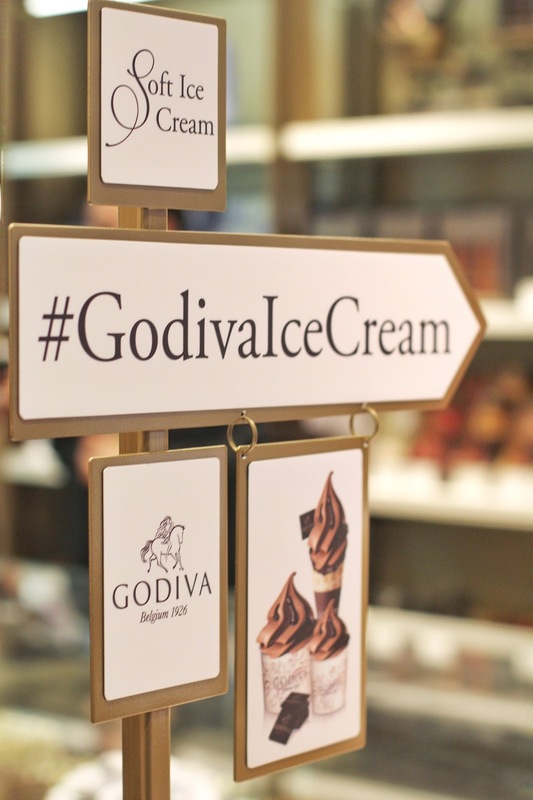 a huge thank you to Godiva for sponsoring this and my trip to London.